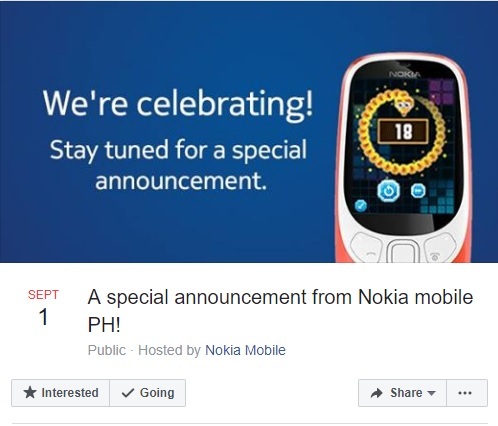 Philippines local Nokia Mobile Facebook page teased that they are announcing something special on September 1. The event will start at 10:00 am (UTC +8). They didn’t reveal much more on the FB page, but just a note that they are celebrating and an illustration of Nokia 3310 with the snake game on and number 18 in the middle. Nokia 3310 saw the lights of the stores 18 years ago, but we celebrated the legend last year when it was reintroduced in our lives. Maybe 18 years ago Nokia first came to the Philippines market, and now they want to honor that moment by launching Nokia 6.1 Plus and/or Nokia 5.1 Plus there? I’m just guessing, really don’t have any clue what is going to be announced at the event, or will there be an organized event. 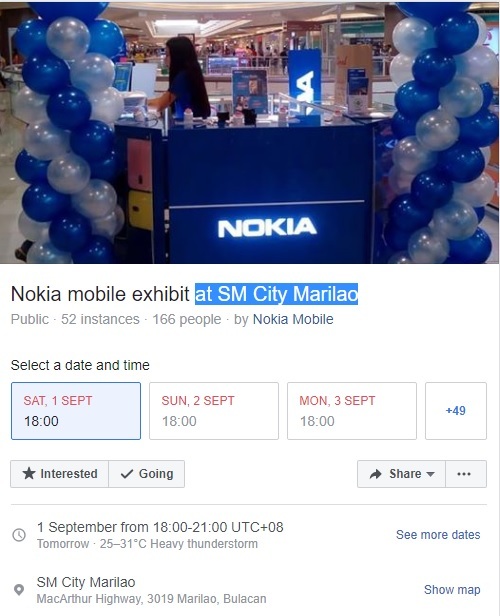 *Update* Readers stayed tuned and saw that Nokia Mobile PH will be organizing a Nokia mobile exhibit at SM City Marilao. If you are somewhere close to that place, come and say hello :).